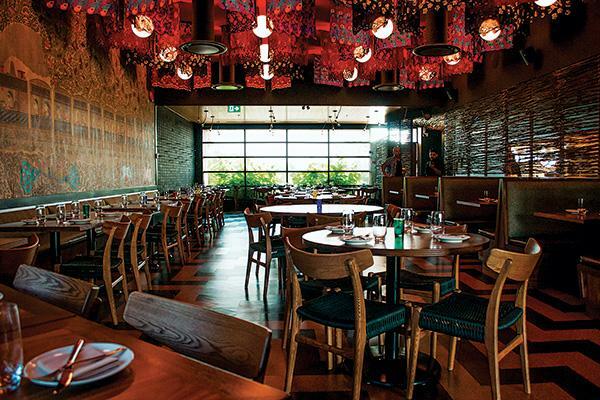 In May, Vij opened My Shanti, a more traditional Indian restaurant, in Surrey. The cast of Dragons' Den. Vij in his first restaurant. Devour Kelowna Food Festival March 2014: Vikram Vij is surrounded by a group of adoring fans. One enthusiastically pumps his hand before blurting out, “You won’t remember me, but...” then beams as Vij cuts him off, “Of course I do, you had...” reeling off exactly what the now starry-eyed diner had eaten a year or so back at Vij’s world-famous restaurant on West 11th Ave. in Vancouver. As Vij poses for photos, roaring with laughter here, pressing his hands together and bowing his head in a respectful namaste there, it’s clear that the new star of CBC’s ninth season of Dragons’ Den (launching this month) gleefully embraces his newly found TV fame, which fits him as comfortably as his trademark long kurta shirts. 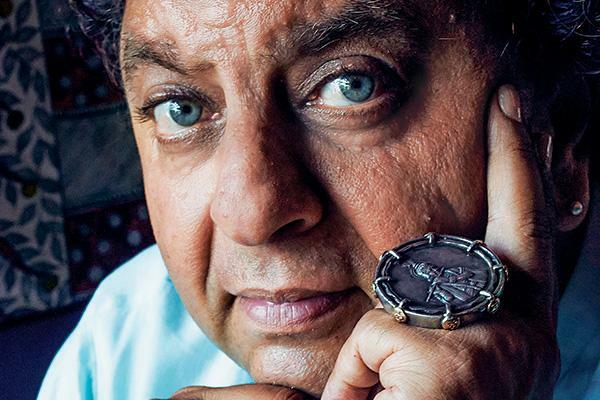 When Vij opened his first restaurant in Vancouver, a 16-seat hole-in-the-wall on Broadway between Granville and Hemlock, legend has it that he needed $100 a day to break even, often ringing in an order of naan bread himself to make up the difference. Nowadays that break-even figure is $20,000 a day. The Vij empire is a hungry beast that needs constant feeding and currently includes Vij’s on West 11th and the more casual Rangoli restaurant next door, award-winning food truck Vij’s Railway Express in Vancouver, part interest in a market stall in Victoria called Vij’s Sutra and Shanik Restaurant in Seattle (owned and run by Vij’s wife and business partner, Meeru Dhalwala). Then there are the new kids on the block: My Shanti in South Surrey, an 88-seater (with a 30-seat patio) that opened this May and cost $2.7 million to build; and the latest addition to the family, a new Vij’s location on Cambie Street that’s set to open in December (when the “old” Vij’s will become Mian Bawarchi, the concept for which the restaurateur is keeping under wraps: “I want it to be a big surprise”). Finally, there are the cookbooks and the $7-million, 2,600-square-metre production plant that produces 15 different SKUs in the Vij’s At Home prepared-food range (seven vegetarian and eight meat), which currently sell in more than 400 stores across Canada. 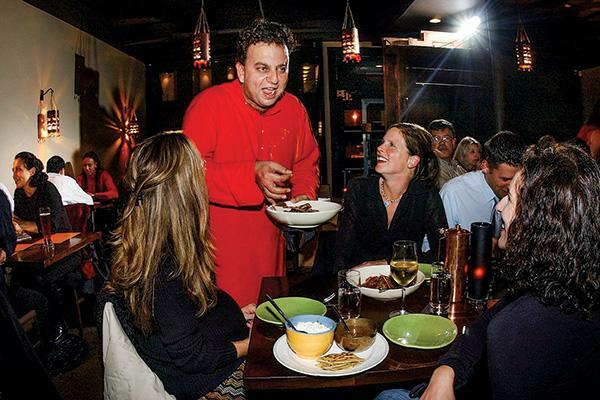 Vij admits the plant is currently underutilized (with year-over-year growth less than half of what was originally projected), but he’s powering through the paperwork necessary to get Americans gobbling up Vij’s “Masala” and “Mother-in-law” curries by the end of the year. Restaurateurs opening more restaurants is not news, but parlaying that restaurant success into a nationwide take-home food industry and a mainstream TV career is something else. 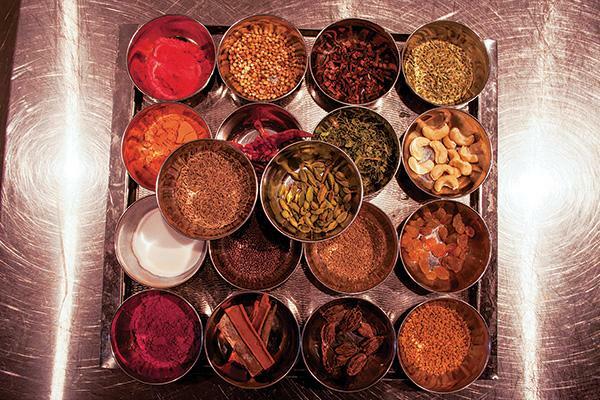 It’s in that desire to expand beyond restaurants and into people’s homes—to show and tell about Indian food—that you discover the key to Vikram Vij’s drive for success. He is a man on a mission to convert us all, one lamb popsicle at a time, to the many and varied tastes of Indian cuisine. 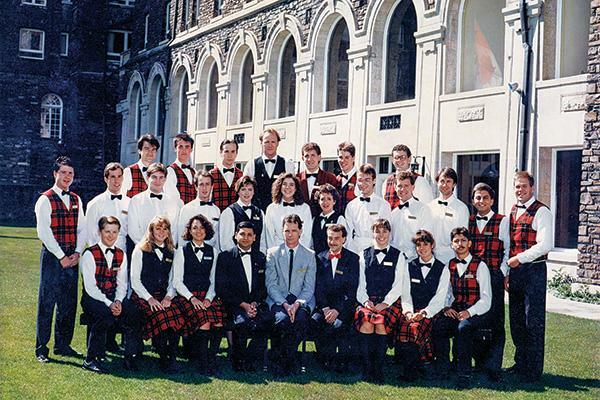 After the death of Petrak in 1992, Vij went west to Vancouver and took a front-of-house job with one of the city’s most respected restaurateurs, John Bishop. “I honestly had no sense of his hidden qualities at all,” says Bishop, laughing. 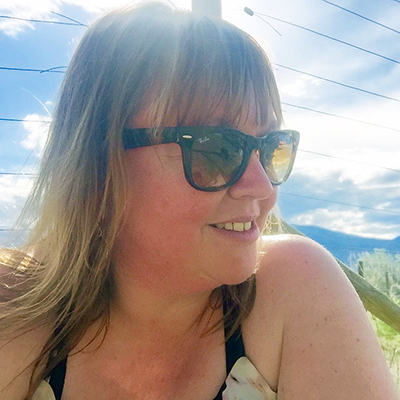 “I hired him because he had a European hotel school background and a good grounding in service and wine knowledge. He joined us as a food expediter, which is a very detailed job in fine dining, checking every last detail to make sure it’s perfect. He was a very hard worker and people liked him a lot, but he had this burning desire to have his own business.” Two years later, undeterred by Bishop’s advice to not risk it and after being turned down by a potential investor who thought the idea of a modern Indian restaurant was “stupid,” he left to launch Vij’s with a $20,000 loan from his father and $10,000 of his own money. But is it possible for a business with annual revenues of almost $6 million to be all instinct? Jamie Maw doesn’t think so, recalling one afternoon at Vij’s where he saw the proprietor meet the produce van and carefully inspect every single item personally. 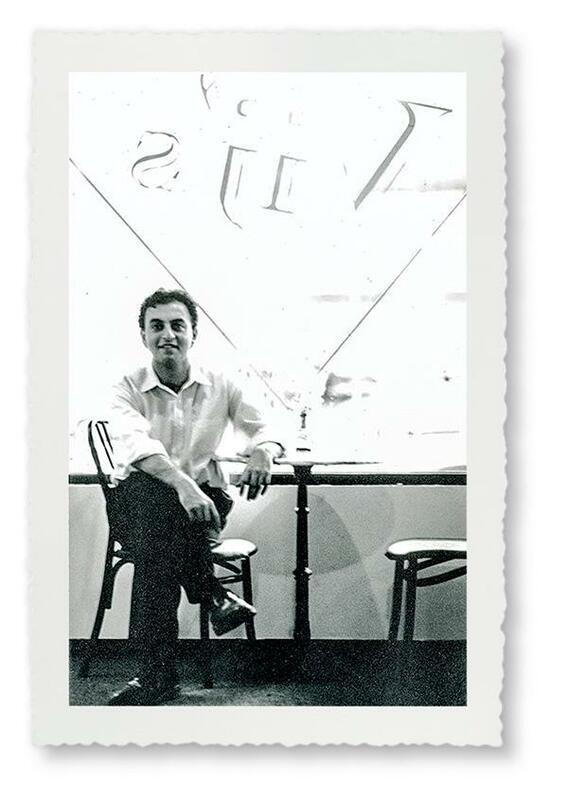 “To be a successful restaurateur, you have to be a sound business person,” he says. “You’re moving perishable items and dealing with fickle customers six nights a week. This has been a pivotal year for the Vij brand. 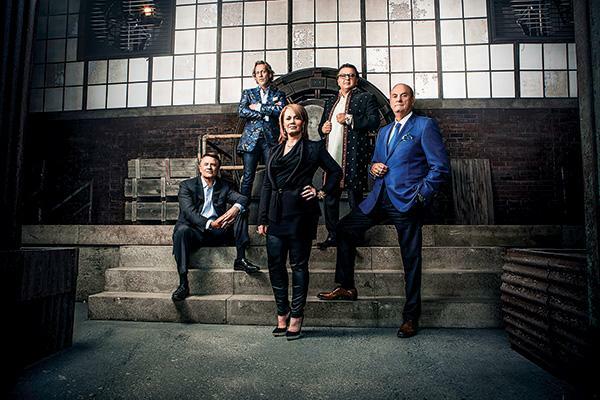 Dragons’ Den catapults Vij away from specialty cable channel Food TV into a primetime nationwide show with an average audience of some 2.46 million viewers watching live and online each week. There was an enRoute magazine award in October 2013 for Vij’s Railway Express—the first time a food truck’s been given the honour—which squarely places the brand in “best new restaurant,” not “best new Indian restaurant” territory. And this September marks the 20th anniversary of the original Vij’s restaurant (18 years in its current West 11th location). All that plus a personal milestone for Vij, his 50th birthday in December, and the start of a new five-year plan.